I'm sure many of you have heard of the new BB Cream craze. For those who haven't, it stands for Beblesh Balm and it's very popular in Asia right now. Most have a decent to high SPF, whitening properties, and help to tone skin, among other things. There's different kinds and you really have to find the one that works best with your skin in order to get good results. 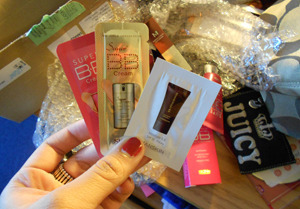 My haul also came with a bunch of samples!!! The samples were smaller versions of the Skin79 Triple Function, the Skin79 Super+ Gold Edition and the Hanskin Mineral Magic BB cream. 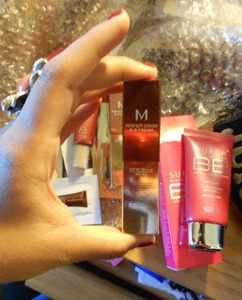 Both products ordered are the smaller sizes because I wasn't sure how the color would appear on my skin. Those of you who are familiar with BB cream, you know that they are targeted to paler skin due to the high demand in Asia. Being Filipino, I have a slightly tanner complexion. 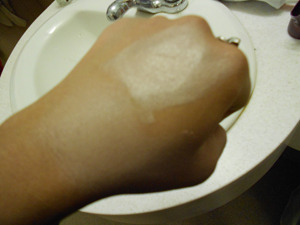 However I was impressed by how well the color matched my skin after it oxidized. See how pale it looks against my hand? 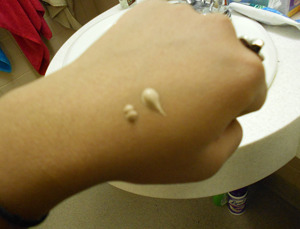 When first blended, the Missha blended slightly better with my skin, while the Skin79 had a grey look to it at first. 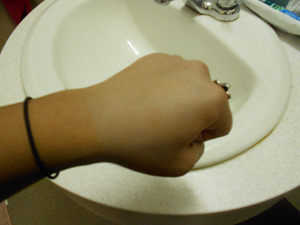 It still looks a little pale before it oxidizes. I forgot to take a picture, but trust me, after it oxidized it blends in perfectly with the skin, you have to give it time though (at least 10-15 minutes). A little trick I use is to apply some bronzer afterwards which will have your skin looking flawless and sun-kissed! 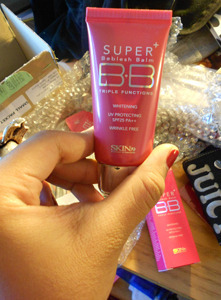 I will be doing reviews on all of the BB creams I purchased & the samples so stay tuned! !